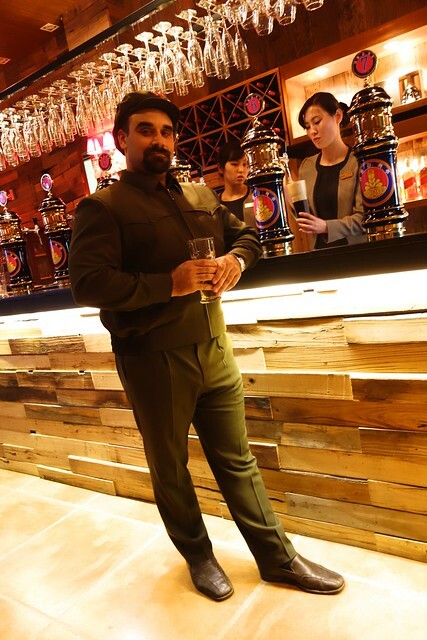 In my Kim Jong-il suit at the Taedonggang Craft Brewery Bar. Wired.co.uk picked up my North Korean Craft Beer post and developed the story further. Check out this excellent article featuring Josh Thomas from my early April tour, as well as many of my pictures. 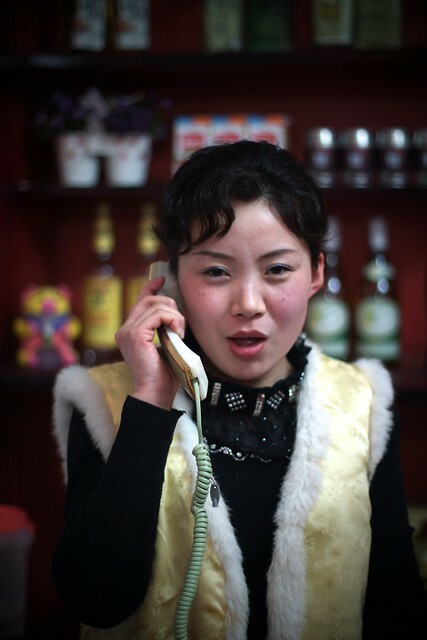 Cell phones in North Korea remain popular as ever; our waitress at the Kaesong Folk Hotel bar receives a wireless call. Land lines still exist, are used, and give the moment captured a classic retro feel. With her calls finished, and in between serving us traditional blueberry liqueur, our waitress poses for a classic portrait shot. Now a Partner with Young Pioneer Tours! I am happy to announce that I am now partnered with Young Pioneer Tours! What does that mean for this website? Not much I hope, I want to continue to serve up interesting and original content true to my high standards of presenting an accurate representation of the North Korean experience. In the past I have been approached by Internet advertising companies with offers for the sale of advertising space or paid content, but I pledge not to sell out, anything I advertise or promote on this blog will be due to my genuine interest in the subject, or my direct involvement or investment in the project. How then am I partnered with Young Pioneer Tours? I’m excited to announce that I’m an investor in our soon to open (Feb. 2013) North Korean themed beach bar at White Sand beach Puerto Galera, Philippines. 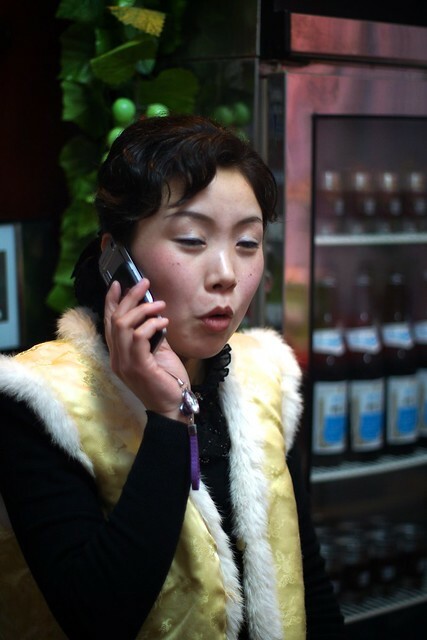 There you may find me as a company representative, selling trips to curious visitors, blogging while on the beach, and perhaps serving up a North Korean beer or two – more on all this as things develop. We have some other big investment projects in the works, they are too sensitive and it’s too early to go into detail about them now, but readers can expect some absolutely unique DPRK content on the horizon. 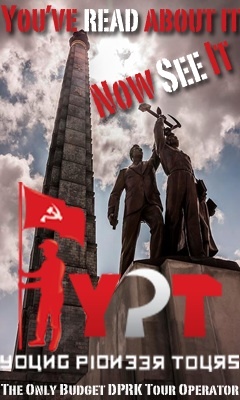 In general I plan to continue running private custom DPRK trips with Young Pioneer Tours providing the logistics, but YPT also plans on having me on as one of their part time professional DPRK guides for their regularly scheduled trips. 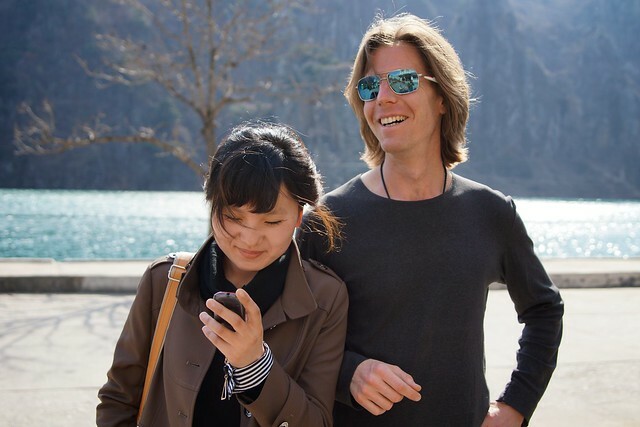 For their regularly scheduled trips I can offer 5% off via my referral – that’s not just for North Korea, we also offer excellent regularly scheduled Tibet, Myanmar, Iran, and trans Asian trips too! 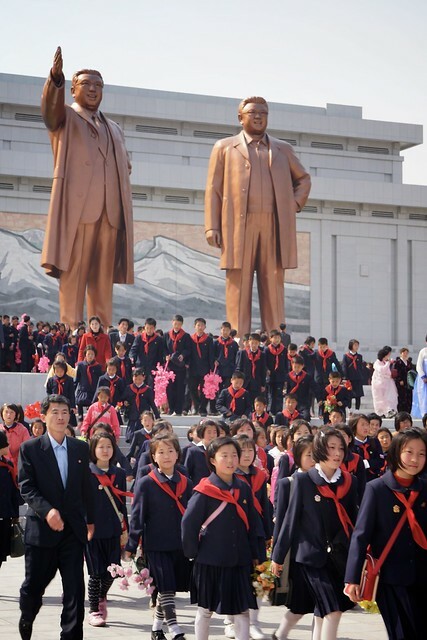 March 30th – April 6th: Pyongyang, Nampo, Sariwan, Kaesong, and Mt. Myohyang. April 22nd – April 29th: VIP private investors tour to the Rason Free Trade Zone and first time visits to newly opened sites in the far north – closed trip. Late September/Early October: Mass Games tour with possibility of a documentary film crew – spots available. I also expect to be helping out Young Pioneer Tours with their big November 2013 Eurasian Tour: Trans Siberian Express Beijing to Moscow, Minsk, Kiev, Chernobyl, Odessa, Transnistria, Moldova, and Romania. My good friends over at The North Korea Blog have been busy analyzing some recent articles about North Korea put out by the main stream media. Like myself, these guys have also visited the DPRK and have valuable insights to share. 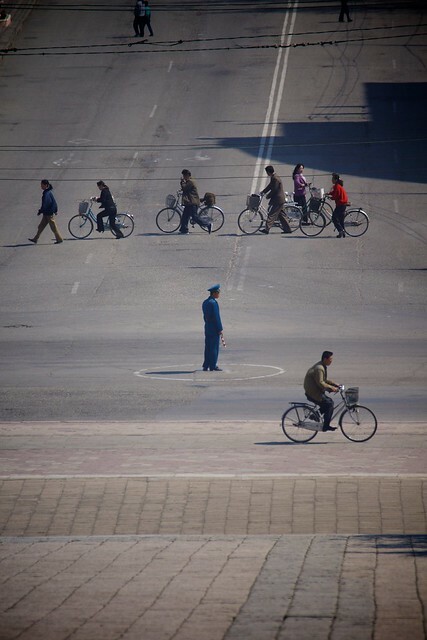 Going Green in North Korea – Gabriel Mizrahi examines the Prague Post’s article: Czech consultant launches in North Korea. 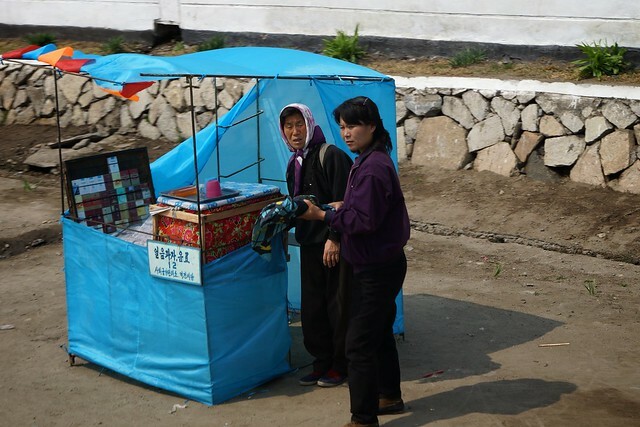 A Kink in the Armor – Joshua Spodek analyzes the Wall Street Journal’s report: Luxuries Flow Into North Korea. The lecture below was originally posted by Sebastian Marshall. From Joshua’s blog – The video didn’t capture the questions and answers afterward. One of the first questions people asked was if I worried I was overly sympathetic to North Korean decision-makers. My goal is to understand them and their perspective, which people sometimes interpret as support. It bears repeating that understanding doesn’t mean support. If you want to influence someone — what else do we strategize about? — I consider ignorance of their perspective the least productive starting point. Once you understand that understanding doesn’t mean support, you begin to learn about them. Then you can influence them. Come to think of it, a less productive starting point than ignorance is beginning with condemnation. No matter how justified you feel, you can rest assured the person you condemn won’t share your opinion. They’ll feel misunderstood if you lucky. More likely they’ll feel more right than before. You will lose credibility, since they will feel they know more about themselves than you do and you disagree on what they feel they know better, and they will likely reinforce their position. Now you have two parties who both consider themselves right and the other wrong. Of course, if you have overwhelming force you can always overpower the other party, but, as the video (and decades of history) show, no one has force that can overwhelm North Korea’s strategic competitive advantage. Once you understand each other, you have a hope of influence.